A loan of $3,000 helped the development of our local artisan store through providing wages, purchasing supplies and inventory, covering deposits and purchasing a computer for the data entry. I grew up as a Marine Brat on Camp Pentleton in California as a child. I have lived in Oregon my adult life and after 15 years in construction, I went back to school. After I obtained my Computer Science degree, I spent 5 years as a private contractor for the State of Oregon. 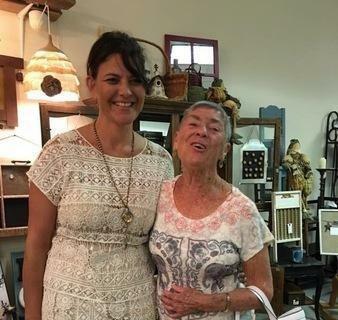 Once my mother retired from the state, we decided we would do what we love to do, so in 2015 we opened our doors as a handcrafters' collective mall. Now, we couldn't be happier. It helps a mother-daughter team support the growth and development of local artisans in Oregon. We are a handcrafters' artisan boutique featuring over 85 local crafters, pickers, and flippers. As a collective, we are the largest in our area and have just recently reopened on our one year anniversary at Salem Center Mall. We are unique as a whole residing in a big box mall now, and with this move it has brought recognition to our artisans and a new perspective on our responsibilities. It will allow us to provide a higher quality of customer service by giving us manpower, inventory, supplies, and an additional PC so we may utilize more than one station for sales and data entry. It will also cover our remaining deposits, which will free our working capital so that we can look to future business goals.